Jack has a busy commercial and chancery practice with significant experience acting in high value and complex disputes often in cases involving an international dimension. In particular Jack’s practice includes civil fraud disputes, company and insolvency, trusts, breach of fiduciary duties, professional liability, pensions as well as property-related work. 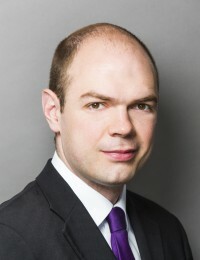 Equally comfortable working on his own or as part of a larger team, he has significant advocacy experience appearing as sole counsel in a wide range of matters in his own right in both the county court, the High Court and appellate Courts and often appears on his own against QCs or senior junior barristers. Approachable and easy to deal with, Jack specialises in providing clear and structured advice on often complex issues and fighting hard in order to ensure the best outcome for his clients. • AHAB v Saad: acting as junior counsel (with Tom Lowe QC) in one of the largest fraud cases ever litigated, involving a claim for around US$9bn, a trial lasting over a year and the disclosure of over 5 million documents. In addition to complex issues of fact, the case involved issues relating to tracing and asset recovery, trust and partnership law, attribution of knowledge, ex turpi causa, bona fide purchase, conflicts of law and the law of Saudi Arabia, Switzerland and Bahrain. • Richards v Bodden: appearing as sole counsel in the Cayman Islands Court of Appeal in a complex claim for restitution arising out of a failed property purchase. • FNTC v BBLL: acting as junior counsel (with Alan Gourgey QC) in relation to a hard fought claim for dishonest assistance and breach of trust arising out of the purchase of a Spanish Apartment complex. Jack is a former European Debating Champion and his published written work has been described as ‘illuminating’ in the Privy Council (Paponette v A-G of Trinidad and Tobago  UKPC 32 per Lord Brown) and been cited approvingly by the Court of Appeal for Northern Ireland (Re Loreto Grammar School  NICA 1) and again by the Privy Council (United Policyholders Group v Attorney General of Trinidad and Tobago  UKPC 17). European and World Masters Cup Debating Champion; winner of a record 28 university level debating competitions.